An essential book for students and teachers written by two of the Caribbean's leading historians. 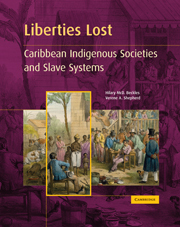 Written by two of the Caribbean's leading historians, Liberties Lost is an essential book for students engaged in following courses on the history of the Caribbean. It will also be of interest to general readers seeking information on the history of the region. Starting with indigenous societies, Liberties Lost covers Europe’s Caribbean project, European settlement and rivalry, the Transatlantic trade in enslaved Africans; sugar and slavery; African culture and community life; revolt and resistance and, finally, Caribbean emancipation. Chapters include: indigenous societies; Europe's Caribbean project; European settlement and rivalry; the transatlantic trade in enslaved Africans; sugar and slavery; African culture and community life; revolt and resistance; Caribbean emancipation. An extensive bibliography completes the book.